It doesn’t matter if you just ran out of your favorite makeup product, or you are looking for some beauty secrets that are less expensive. Chances are, you will need one of these beauty hacks & makeup tips, and soon. Or maybe, like right now? Because your favorite lipstick just broke, or you just realized the only eyeshadow compact you took on vacation has shattered in your luggage? We found some of the best beauty tips for you. So buckle up, Buttercup! We are going to blow your mind with these genius beauty hacks! If your expensive eyeshadow compact gets dropped on the floor and shattered, you can fix it with rubbing alcohol. Just crush up the remaining powder, add a few drops of alcohol to make a thick paste, then let it dry… Good as new! 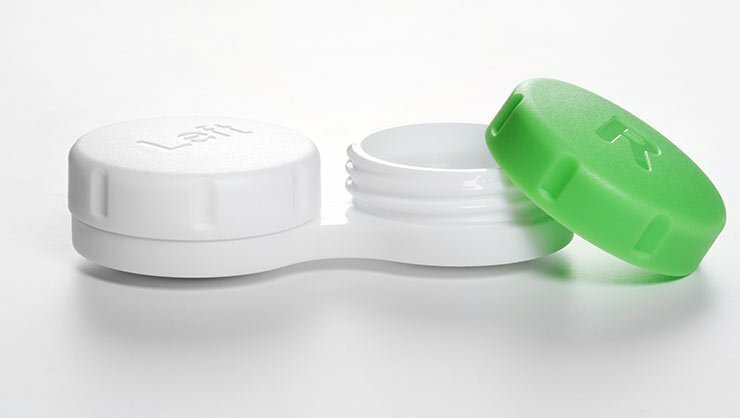 Use a clean contact lens case to take foundation, concealer and even eye cream with you when you travel. Also great for keeping a touch up kit in your bag! Need to blot your face, but don’t have any oil blotting sheets with you? Coffee filters or toilet seat covers work just as well in a pinch! If you aren’t using an eyelash curler, you should be. Eyelash curlers make your eyes look larger and your lashes longer. But add this little beauty hack to your routine. Warm up your eyelash curler with your hair dryer just before using. The heat will lock in the curl! Need to cover a blemish or dark circles, but don’t have any concealer? Mix a little translucent powder into a little of your foundation. This will thicken it and allow it to go on a bit heavier for coverage. Creating a uniform look with eye liner can be tough. Use a piece of scotch tape on your skin right under your eye to guide where to start and stop your line. This is also a great makeup tip if you want to create a little kitten flick, or even a cat eye. Trending right now in the makeup world are makeup brush mats. These are textured silicone mats that helps with getting all the gunk off your brushes. Instead of spending big bucks on one from Sephora, use a textured silicone hot pad from the dollar store! I love my beauty sponge. If you haven’t tried one, it makes a huge difference in the application of foundation and concealer, especially in aging skin, or skin with large pores. But where do you put it between uses? An empty plastic Easter egg is the perfect size to keep it clean, and not bouncing around the bottom of your makeup drawer. Another beauty blender tip? Buy the large size meant for body makeup, they are less expensive. Then cut it in 2 or 3 pieces with scissors to make it go far! After you wash your makeup brushes, how do you dry them? Use a closet hanger and attach them to the hanger with small hair elastics with the bristles pointing down. This will allow air to circulate around the brushes and for them to dry into their original shape. Add 5 or 6 drops of saline contact solution to your drying out mascara to thin it. (It’s already sterile since it’s meant for contacts!) You can also set the whole closed tube in a glass of hot water for a few minutes to thin the mascara. If you have fine hair like mine, bobby pins tend to slide out of your hair. Cross two bobby pins in the shape of an “x” to lock them into place. 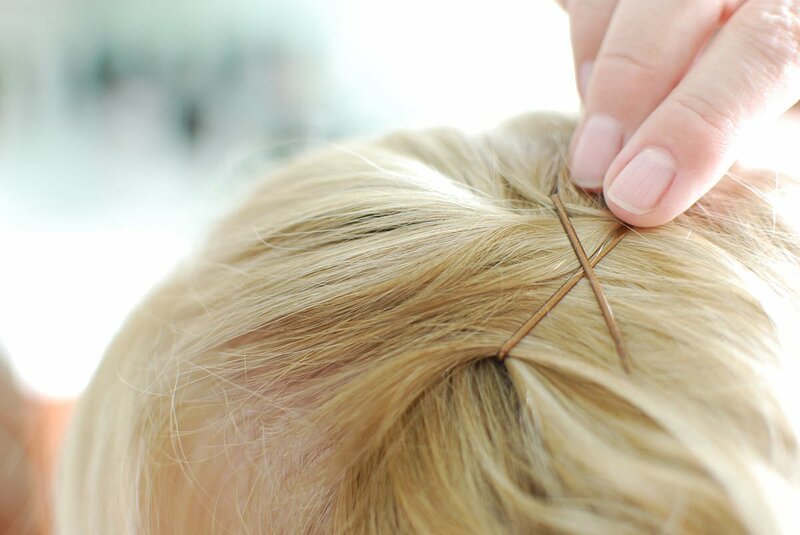 Or, spray your bobby pins with a little hair spray to keep them from sliding out. Use an old makeup brush and a colored eye shadow that closely matches your hair color to touch up roots. Not only will it temporarily cover any grey roots, darker roots make your hair look fuller and thicker too! Use a whitening denture tab in a glass of water to remove those nail stains caused by your fav shade of red polish. Soak the nails in the denture cleaner for 5-10 minutes, then rinse. Need to set a manicure fast? I tend to touch up my nails right before we head out the door to an event, and that always means smudges. After your nails have air dried to the touch, spray them with hair spray to set the polish. No smudges or smears! If you get that dreaded irritation between your thighs whenever you wear a dress, no worries. Next time, swipe some deodorant onto both inner thighs and allow to dry. 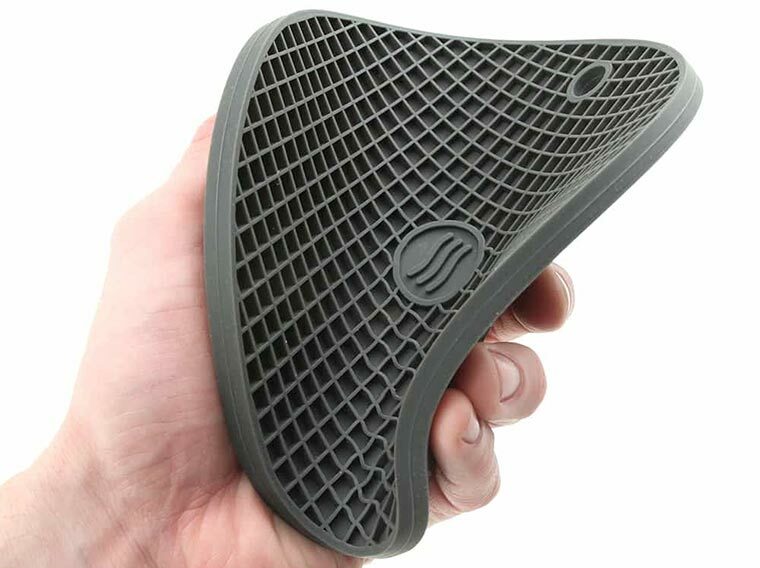 This will stop the friction that creates the rash and the discomfort! If you have a red blemish pop up on the absolute worst day, use a little Visine to take the red out. Soak a cotton ball with the Visine, then hold on the blemish for a few moments. If you have blond hair and you swim, you fight the greenies. If you find your hair getting tinged with the green, despite washing after each swim, try this trick. First, spread conditioner in your hair just before swimming to seal the cuticle from damaging chlorine. Then when you see green, make a paste of water and baking soda, apply to your hair and rub through, then rinse. Wash as usual. No more green! Dry shampoo is everywhere these days, and it is great stuff. It soaks up oil, gives your hair texture and lets you go longer between washings. But if you run out, then use spray laundry starch instead! And Another Laundry Room Beauty Hack! Static making your hair stand on end? Rub your hair with a dryer sheet to smooth those strands! 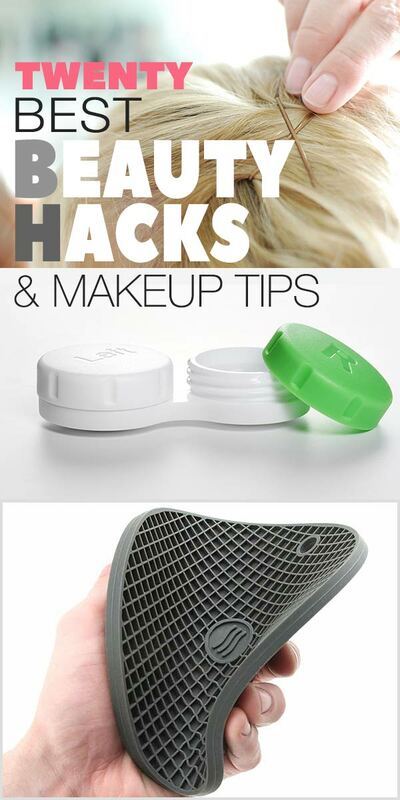 These beauty hacks & makeup tips are easy, inexpensive, and pure genius. We think you will want to stop by our posts Natural Beauty Products Under $10 and How to Draw a Relaxing Bath too!